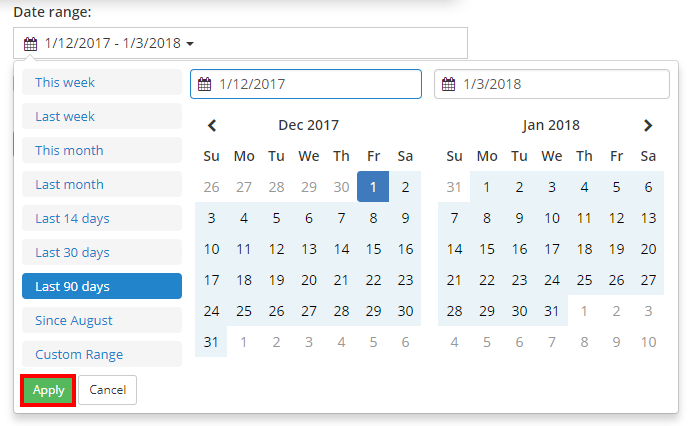 Class Charts allows you to create powerful detention reports that can track how detentions are being awarded through your school. You will appear on the Analytics home page. 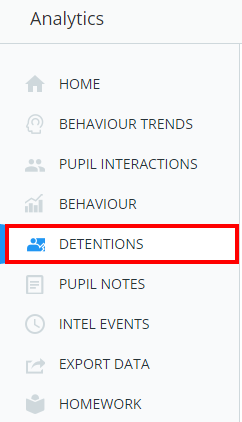 Select the Detentions option from the menu on the left hand side. 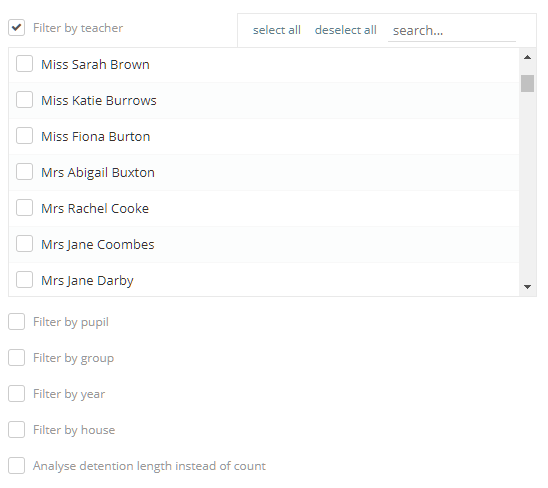 Next, select a Primary breakdown for your report so that the results can be broken down in to specific categories. Select a breakdown option from the drop down menu. If the detentions report is to general for your needs, you can apply various filters that refine the results. To apply a filter, tick a filter option checkbox and select the subcategories of your choice. By default, detention reports will display the number of times a detention was awarded. If Analyse detention length instead of count is ticked, the report will display the total duration of a detention instead. You will be redirected to the results of the report category in the detentions manager.